The 1975 were the big winners at the Brits, taking home the awards for best British group and album of the year. The band said they were "humbled" to beat Anne-Marie, Arctic Monkeys and George Ezra to win the top prize. Singer Matty Healy also used the best group acceptance speech to address misogyny in the music industry. However, some viewers found out about the band's big night in advance, after a rogue TV advert announced their win ahead of the ceremony. It is unclear whether the band knew they had won in advance, and they did not acknowledge the mix-up during the awards show. Other winners on the night included George Ezra and Jorja Smith, who won best male and female respectively. Ezra, who performed his number one single Shotgun at the event, said "There's a not a day goes by where I don't count myself very lucky and this is the icing on the cake." Calvin Harris bagged his first two Brit awards - from a total of 16 career nominations - for music producer of the year and best single, for One Kiss with Dua Lipa. He said on stage at London's O2: "I've been coming here for a few years and never had the opportunity to say anything. "I want to thank anyone that's bought a tune, streamed a tune, come to a show, listened to the song by accident on the radio and gone 'what's this?'. One Kiss, his collaboration with Dua Lipa, spent eight weeks at number one and was the best-selling single of 2018, with more than 1.5million combined sales, streams and downloads. 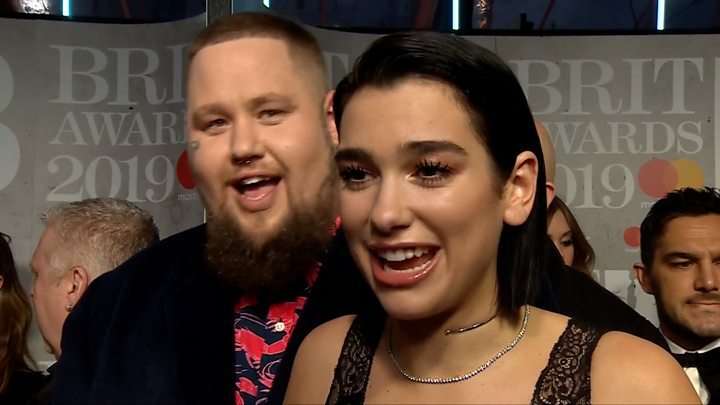 The pair now have five Brit awards between them - Lipa won best female and British breakthrough act at last year's show. Pop star Anne-Marie was this year's Craig David: Leaving empty-handed after going into the ceremony with four nominations. The show was packed with performances from some of the biggest British artists, including The 1975, Jess Glynne and Jorja Smith. Hugh Jackman opened the show with the theme song to the hit film The Greatest Showman, with his performance featuring hundreds of dancers, acrobats and fire-breathing extras. The movie soundtrack, which was not nominated for any awards, was the UK's best-selling album of 2018. Little Mix won best video for Woman Like Me, which they performed on the night, and admitted they had "absolutely no shame in asking fans to vote for it every day". This year's international winners were noticeably absent, with best male and female winners Drake and Ariana Grande sending in pre-recorded acceptance speeches. The Carters - aka Beyonce and Jay Z - won international group, and restaged the famous video for Ape****, which was shot in the Louvre, in their acceptance video. However, instead of posing in front of the Mona Lisa, the couple stood next to a portrait of the Duchess of Sussex. Pink took home the outstanding contribution to music award, before taking to the stage to perform a 10-minute medley of her greatest hits. After performing her new single, Walk Me Home, backstage, the star appeared in the roof of the O2 Arena, descending to the ground in a ring of fire, before playing Try in the middle of a screen of cascading water. She said in her acceptance speech: "To be considered in the same category as David Bowie and The Beatles and Sir Elton and Sir Paul and Fleetwood Mac is beyond anything I can comprehend. "It's been an awesome journey from busking... to playing Wembley Stadium this summer. It's really exciting! "Thank you for having me here. it's been an awesome 20 years. Here's to 20 more." The 1975 emerged as the night's big winners, thanks to their their outrageous, ambitious and confessional third album A Brief Inquiry Into Online Relationships. Singer Matty Healy, who last year caused controversy by claiming misogyny "no longer existed in rock and roll", used the acceptance speech for best group to modify his comments. "Male misogynist acts are examined for nuance and defended as traits of 'difficult' artists, [while] women and those who call them out are treated as hysterics who don't understand art," he said, quoting a 2015 article by The Guardian's Laura Snapes, which gained renewed attention after allegations about US star Ryan Adams emerged last week. Let's be honest, most of us have wondered whether award show winners get tipped off before the ceremony. Sometimes it seems painfully obvious: If you watched last week's Grammy Awards, you'll have seen Drake's name read out in the best rap song category - at which point a camera was conveniently positioned backstage to film the star, who had arrived, unannounced, to collect his award. Either the director was a clairvoyant, or someone had steamed open the envelope before the show. Tonight, digital channel UKTV Play confirmed what we've always suspected, by playing out a pre-taped advert for "double Brit award winners" The 1975, before the ceremony had even started. 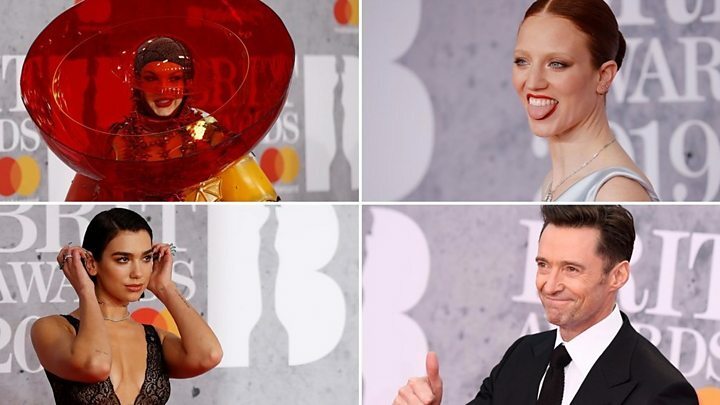 It's not clear whether the band had been made aware of what their marketing department knew - but it shone an awkward spotlight on every tearful "this is so unexpected" speech we've seen this awards season. That embarrassing mix-up aside, this was one of the slickest, most engaging Brit Awards in recent memory. All the performances hit home, from George Ezra's warm-hearted rendition of Shotgun to Pink's death-defying greatest hits medley (notable as much for the songs it left out as the ones it included). The only real let-down was the lack of major global talent. Pink aside, all the international winners - Ariana Grande, Drake and The Carters - were absent; their trophies handed out in a desultory video montage. Luckily for the Brits, this was more a case of bad luck than bad karma. Drake, who used his Grammy appearance to criticise the show's very existence, sent out positive vibes in his Brits' video message, wryly noting that, "I very much look forward to attempting to win [best international male] many more times." Maybe expanding the categories would help rectify the problem. The fact that there's still no award for best international album seems increasingly odd in a globalised streaming market. Change could easily be afoot. The Brits get a new chairman in 2020 and, with the Grammys still subject to an unofficial boycott by the likes of Kanye West and Childish Gambino, their first priority should be to lure that US talent to the UK.